About Mary Tait, Inc. – Mary Tait, Inc.
Home Our Work About Mary Tait, Inc. 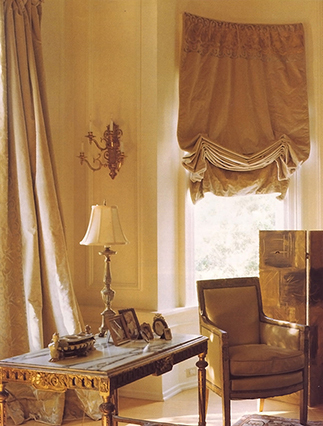 Working directly with designers and architects, Mary Tait, Inc. exemplifies the art of the master draper to produce sumptuous and unique fabric treatments built by hand. From our foundation in the old world artisanship of New Orleans interiors, our design language is rooted in the classic French style while embellishing the contemporary lifestyle. Mary Tait, Inc. is located in Eureka Springs, Arkansas where we work on projects throughout North America. To contact Mary Tait, call 479 253-2372 or email maryrtait@gmail.com.